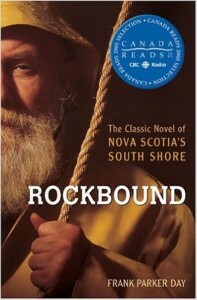 There are many worthy books that offer a look at life in Nova Scotia. Though these three great books span nearly 100 years and come from very unique voices, they do have common themes. Rockbound by Frank Parker Day (1928) tells the story of David Jung, an orphan who finds his way to the island of Rockbound to fish. It’s an unwelcoming community and life proves to be most challenging, but through unbelievably heroic commitment, David is able to carve out a life for himself. 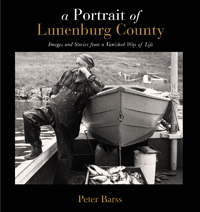 A Portrait of Lunenburg County by Peter Barss (1978) is a beautiful collection of black and white photographs and carefully transcribed interviews with elder residents. Barss does an excellent job of capturing the accents and cadence of the speakers. This is an intimate look at what life was like in the coastal communities of Lunenburg County, without a misty romantic overlay. 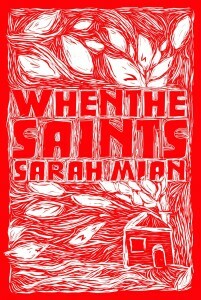 When the Saints (2015), Sarah Mian’s first novel tells the story of the troubled Saint family through the voice of Tabby Saint, who after a long absence returns to her home town to deal with her family legacy and its influences on her own life. This gritty, at times hard book to read has wonderful prose and is ultimately hard to put down. All three books examine how Nova Scotia has influenced and shaped us, how the economy and our communities have made us who we are today. None endeavours to romanticize the hardships faced by many of our ancestors, and in the case of When the Saints, how harsh a place it can be to this day. Nova Scotia still says goodbye to far too many who are forced to make their way elsewhere. But as even our kin who have gone down the road know, there is something marvellous and genuine here. Even as we are buffeted by economic and natural forces, our province’s greatest asset is the strength and resilience of the people who make up our communities. For better and worse, these books offer an important look at ourselves. For without knowing where we have been, it will be impossible to work our way to where we dream of someday living.